This last week I got the opportunity to go to The Witchery by the Castle, located just next to Edinburgh Castle, for their afternoon tea. 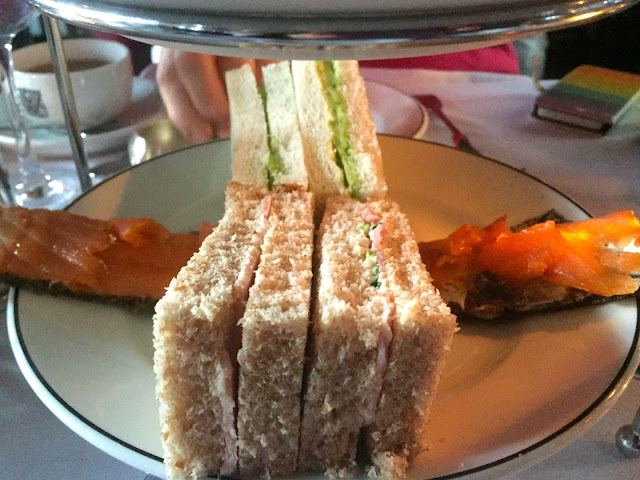 Afternoon tea isn't something I do regularly - the last time would have been at The Peninsula back in Hong Kong, so I don't have a ton of experiences to compare this to! 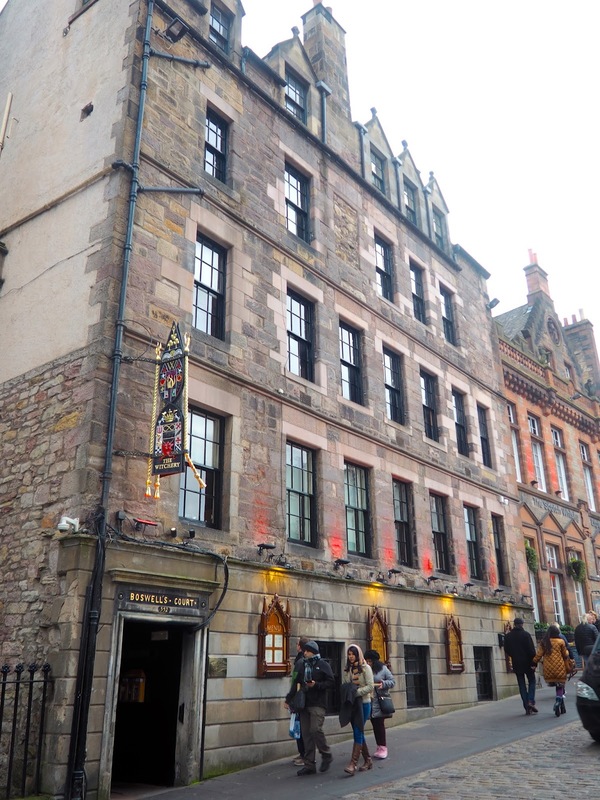 I was there with several members of my family, as we'd all got each other vouchers for our birthday's; my mum and aunt bought them for each other, got one for my grandma and great-aunt, my mum got one for me, and I had given one to a family friend who had let me stay with her while still flat hunting in Edinburgh. The Witchery is a well-known, high class venue, which has hotel rooms and two restaurants inside. The main restaurant is at the front, looking on to the Mile, but we had booked our tea in the Secret Garden, which is tucked in the back, down Boswell's Close (one of Edinburgh's hundreds of narrow alleyways leading off the Mile). 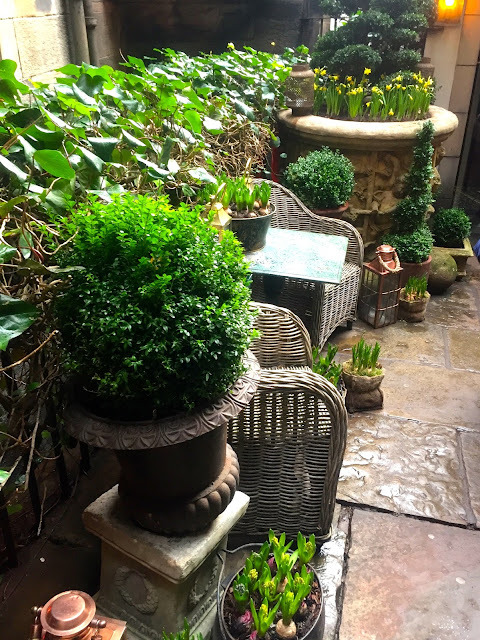 We passed the foliage decorating the close, and then descended the stairs to the restaurant area. Afternoon tea is only available for a couple of hours on weekday afternoons - I was actually there in between shifts, but since I work on the Royal Mile, it was easy to coordinate everything. 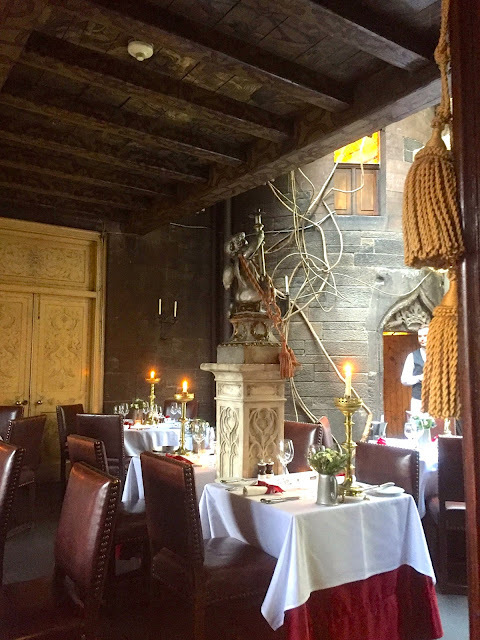 The room definitely feels like something from Edinburgh's Old Town, with exposed brick walls and wooden beams across the ceiling, and several stone sculptures around the room, as well as rich, red tablecloths and leather chairs for an opulent feel. 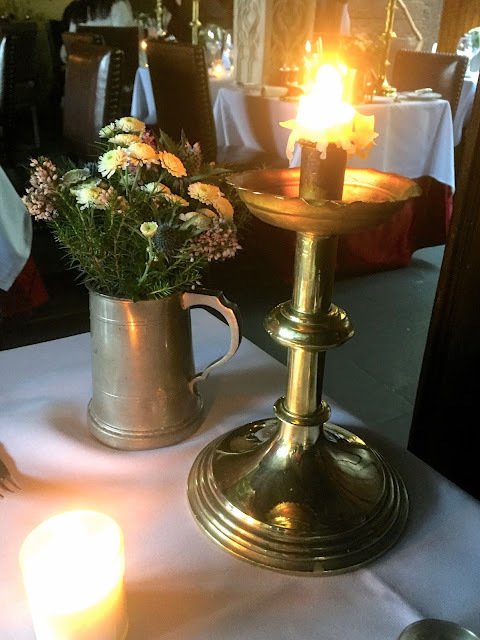 It's quite dim inside, since there are only windows along one side, being built into the hillside, so everything is candlelit, to keep up the medieval sort of atmosphere (though it didn't lend itself to clear photos!). 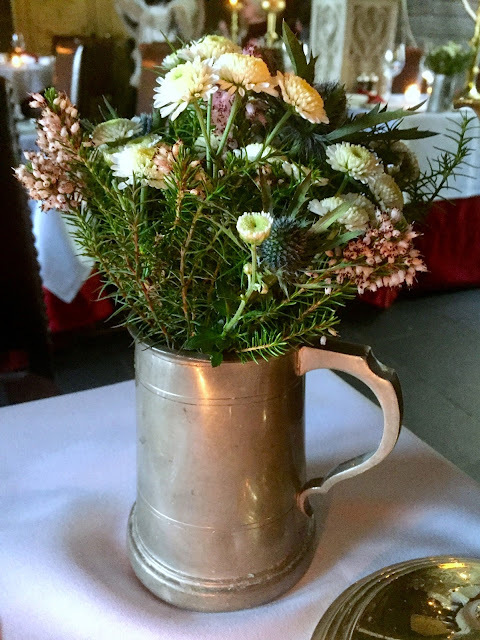 I also really liked the flower displays on the table, with simple wild flowers, including thistles, arranged in tankards. 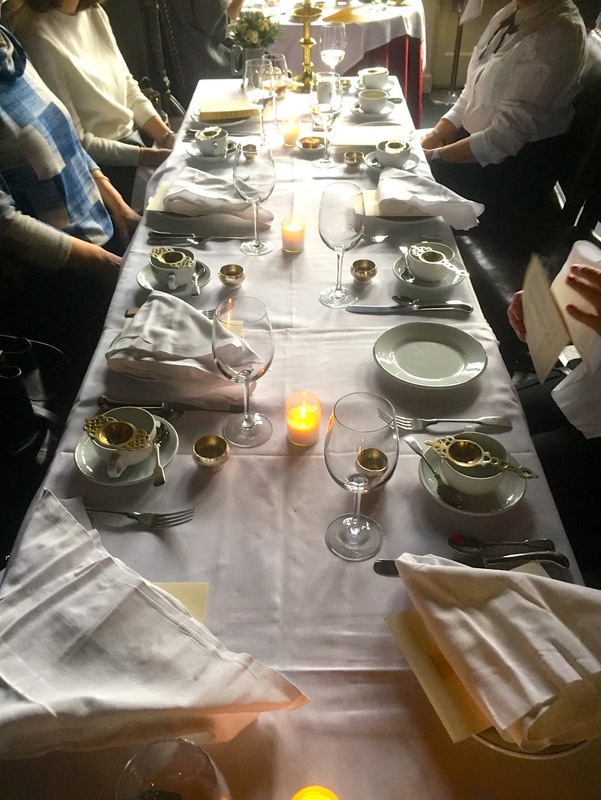 We were sat at a long table, as there were eight of us in total, and the waiter unfurled out napkins while we looked at the menus; we knew we were all having the classic afternoon tea of course, but there was a large selection of teas to choose from! 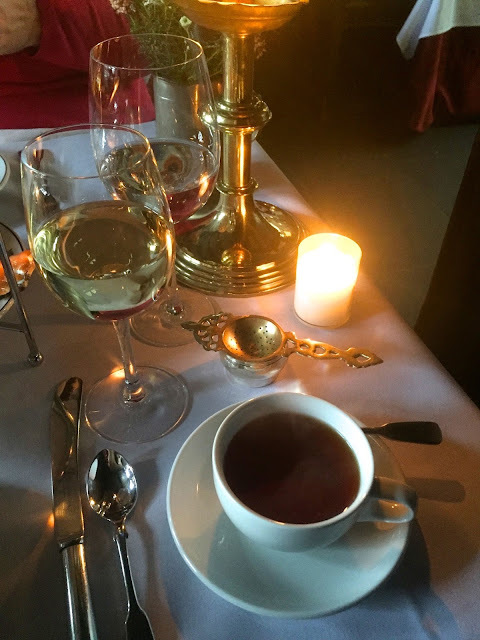 I ended up going for the Witchery Afternoon Blend, as it seemed like the most classic choice, and I'm not a huge tea drinker anyway. My aunt and I also each got a glass of wine to go with ours too! 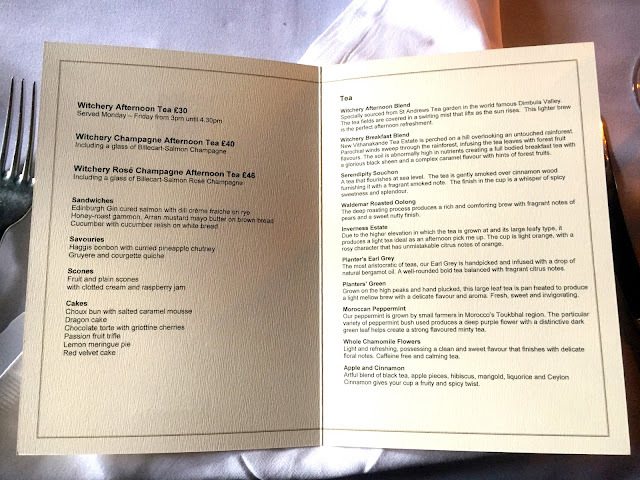 The menu also has all the information about the items included in the afternoon tea, as you can see in the photo. 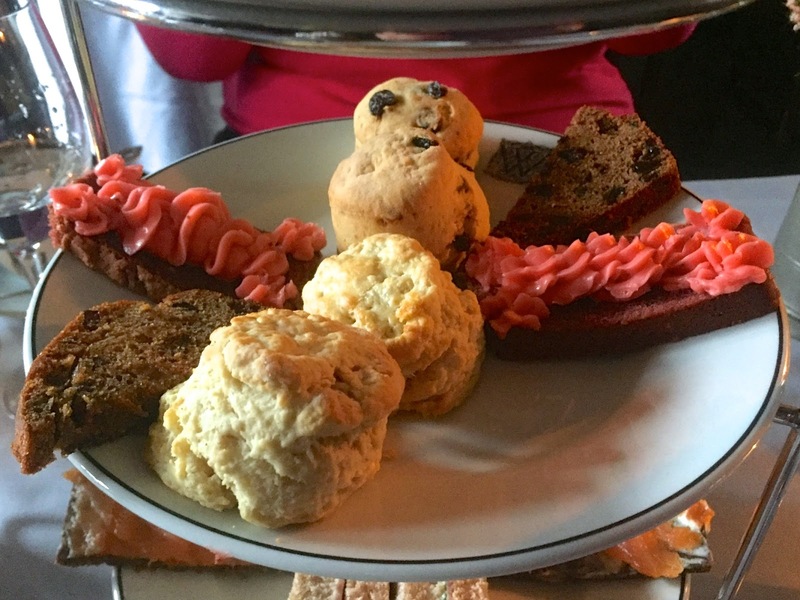 We had one stand between two people, with sandwiches on the lower tier, scones and cake slices in the middle, and sweet treats on the top. And then they brought additional plates with the hot savoury items as well! 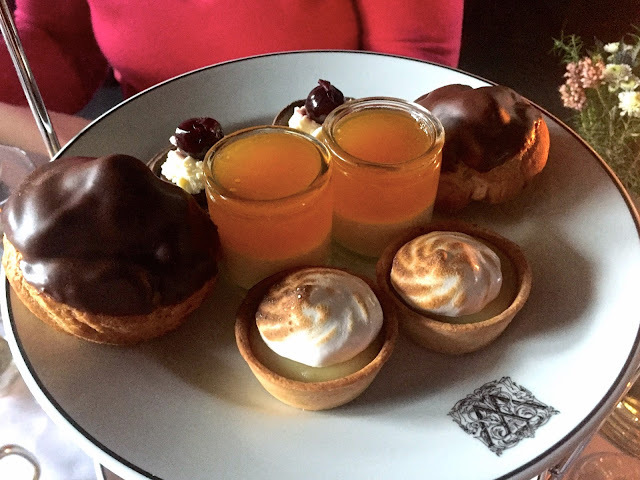 None of us managed to finish all the food, though I gave it my best shot, so we did get a takeaway box with some scones and choux buns for me to snack on during my long shift that evening. 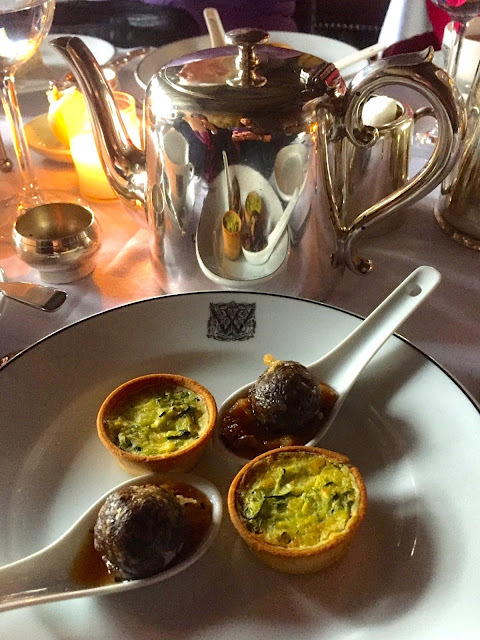 My favourite items were the haggis balls, the quiche, the scones, and the chocolate torte. I really don't like raisins, so I skipped the fruit scones and the fruit loaf, but there were enough other items that I didn't go hungry! 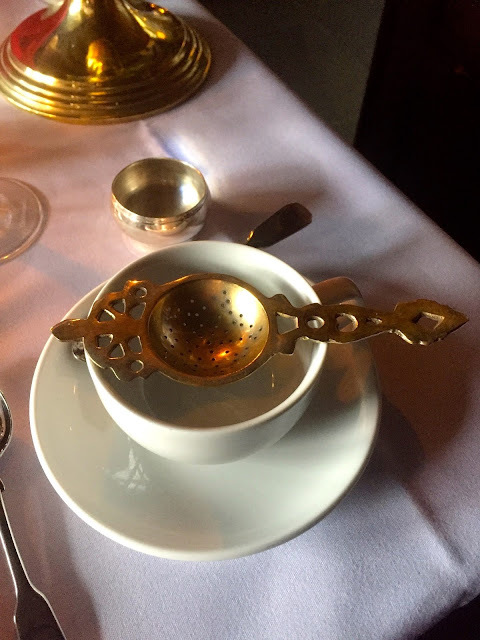 The teapots were very hot (even the handles), but I liked pouring it through the strainer, which even came with a little stand to rest it on so as not to stain the tablecloth - it all felt very fancy! 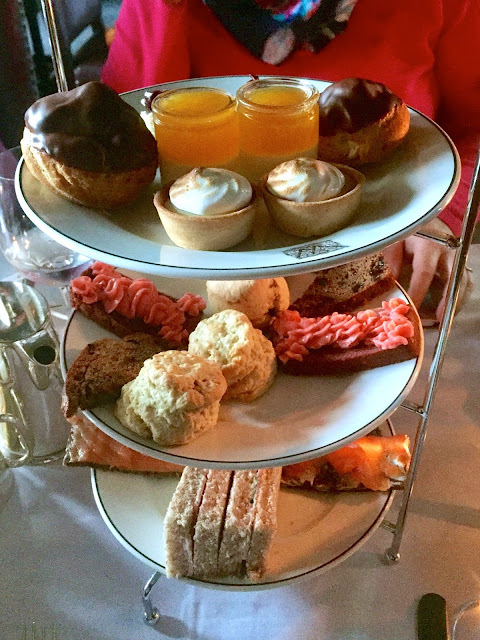 I will say that, compared to the afternoon tea we had at The Peninsula, this one wasn't quite as photogenic, as they had that gorgeous blue Tiffany's theme for their sweets, but everything was still delicious! This one had a very different atmosphere to the venue, as you can see from photos, as The Peninsula is very opulent, while The Witchery is still grand, but a little more medieval in style. 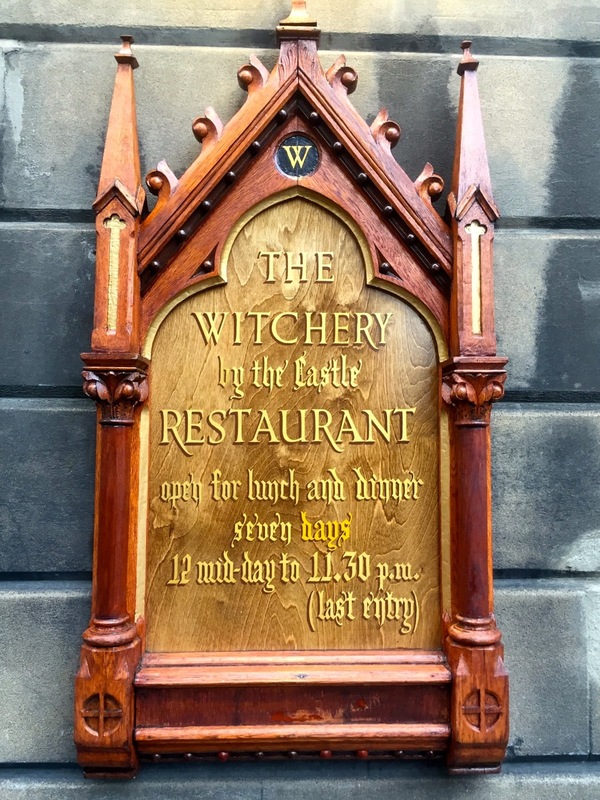 We didn't have to queue for The Witchery though, as we booked in advance, which you can't do at The Peninsula (everyone has to queue for about an hour there!). All in all though, it was a very nice day out, and a fun treat that I don't get to experience very often!